Hi everyone, it's been a long time but I have a new freebie card for you today. I haven't added a sentiment as I think it could be used for many occasions such as birthdays, get well etc. so I hope you can find a use for it. I've included a shaped insert for the card which you could cut from coloured card so that it shows through the small circles on the front - doesn't show up very well in the photo. 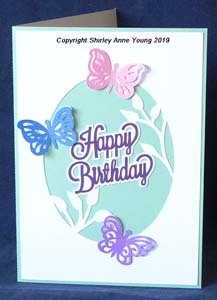 You can find the links for the freebie butterfly card below. I would love if you could spare a moment to leave a comment if you download the file and you might also like to check out the designs in my Store. Hi everyone, a belated Happy New Year and welcome to my new followers. Anyway here is the first freebie of the New Year and one than can be used for many occasions depending on what sentiment you use with it. 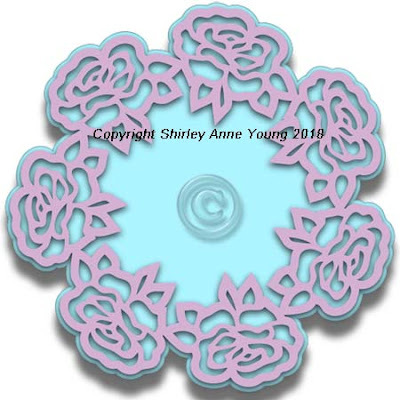 I have included an offset panel to fit behind the cut out edge so you have the choice of just having colour behind the rose stencil or adding a coloured panel to the inside of the card as I have done in the photograph. I hope you like it, I think it makes quite a pretty card. I would love if you could spare a moment to leave a comment if you download the file and you might also like to check out the new designs in my Store. Another Christmas card for you. This will be my last freebie before Christmas as I am going on holiday on Thursday for a couple of weeks. Hope this card will be useful for any last minute cards. 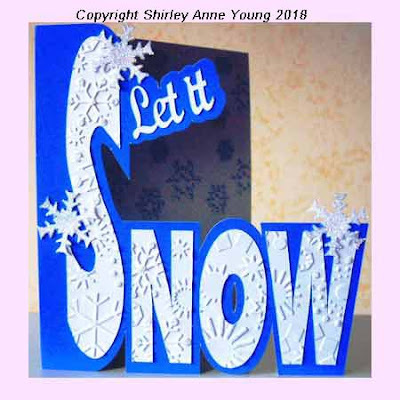 I put the letter toppers through an embossing folder and I think it gives a nice effect and I used a snowflake backing paper to make a folded insert. I would love if you could spare a moment to leave a comment if you download the file. Hi everyone,, I have a freebie Christmas card for you today. This is another of my retired products but I thought I would share before deleting it. 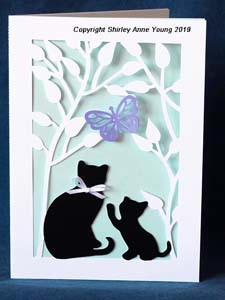 The file includes the base card with toppers and also a shaped insert to fir the card. Hope it comes in useful. 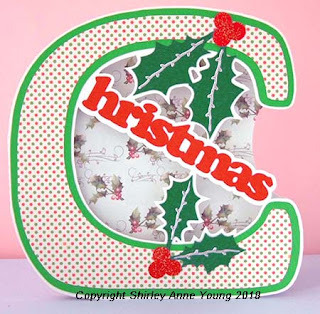 A long time since my last post but I have been busy working on some new Christmas designs for my store. Anyway here is a freebie frame and mat for you, hope you like it. 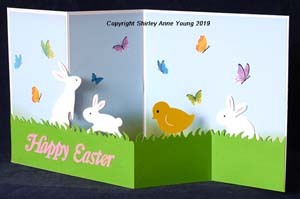 A freebie butterfly tent fold card for you today. 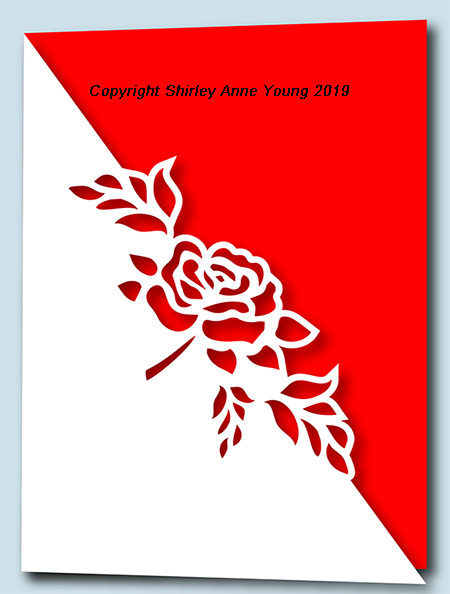 This is another of my early designs which I am retiring but I thought I would share rather than just delete it - hope you can find a use for it. I have started working on some Christmas designs and have already added a couple to my Store if you would like to have a look. 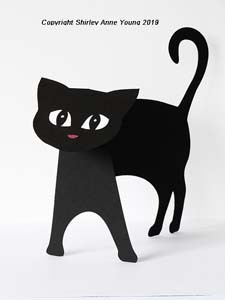 I would love if you would leave a comment if you download the file. 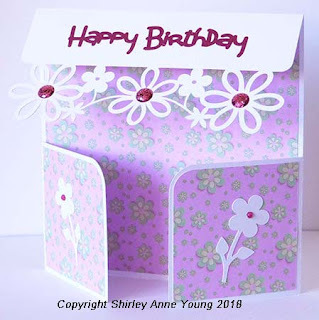 The freebie today is a flap fold card which could be used for a number of occasions by adding different embellishments and sentiment.. I hope you like it as this will be the last freebie for a couple of weeks as I a going away on holiday tomorrow to the lovely Greek Island of Thassos.